WASHINGTON, July 10, 2017 – The nation’s largest originators of emergency alerts have come together to advise the industry group behind the Advanced Warning and Response Network (AWARN). 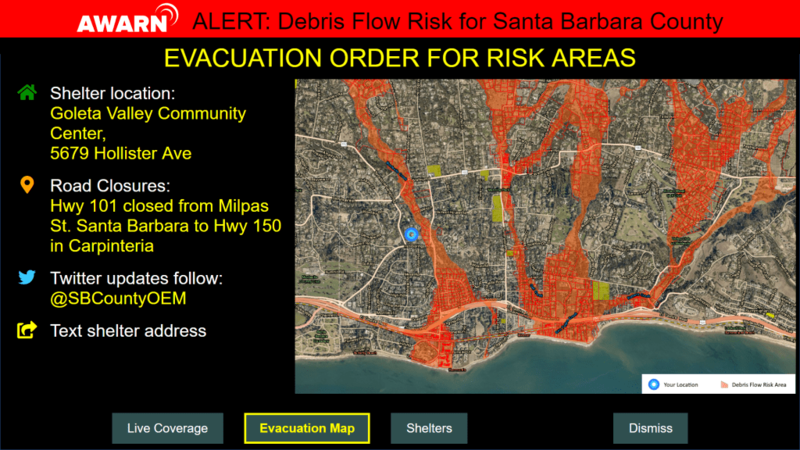 Designed to work synergistically with existing alerting systems, AWARN will provide major new capabilities to improve disaster warning and recovery information for the American public. The Federal Emergency Management Agency (FEMA), the National Center for Missing and Exploited Children (NCMEC), the National Weather Service (NWS), and the Association of Public-Safety Communications Officials (APCO) have joined the new AWARN Advisory Committee to provide technical and operational input to the AWARN Alliance. By leveraging the powerful new features of next-generation broadcasting, the AWARN Alliance is creating a system that can deliver geo-targeted, rich-media emergency messages to a wide range of enabled consumer devices, including 4K UHD TVs, tablets, smart phones and even connected cars. Television broadcasters and consumer technology companies are planning for the voluntary adoption of Next Gen TV transmission, based on the new ATSC 3.0 technical standard, pending approval by the Federal Communications Commission, expected later this year. “Our goal in developing AWARN is to create the world’s most advanced emergency alerting system, and Next Gen TV provides the tools to do that,” said John Lawson, executive director of the AWARN Alliance. “Our public safety partners will help us define how to use those tools to create messages that save lives and speed recovery,” he said. NWS Meteorologist Mike Gerber recognizes the promise of advanced emergency alerting with ATSC 3.0. “The National Weather Service is pleased to serve as a technical adviser on the AWARN Advisory Committee as we work collectively to build a Weather-Ready Nation,” he said. 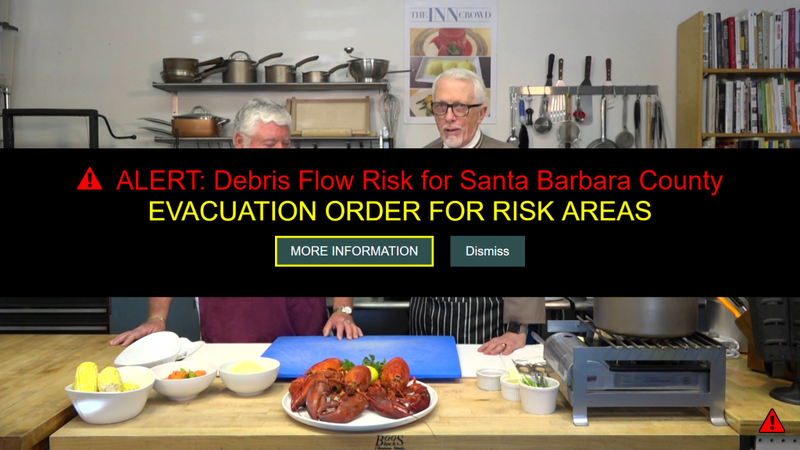 Examples of the rich media alerts enabled by the AWARN system include photos, surveillance video, storm tracks, inundation maps, evacuation routes, road hazards, airborne chemical plume models and safety instructions. AWARN can provide post-event information, such as shelter locations, hospital wait times and other recovery notifications — even if cellular networks and the electric grid are down. AWARN may also deliver Blue Alerts and other law enforcement messages. APCO International is the world’s oldest and largest organization of public safety communications professionals, including those at Public Safety Answering Points (PSAPs) who issue local emergency alerts. FEMA manages the current Emergency Alert System (EAS), including the Integrated Public Alert and Warning System. NCMEC issues AMBER missing child alerts in cooperation with state and local law enforcement agencies. The National Weather Service issues severe weather alerts, accounting for 90 percent of EAS activations each year. The AWARN Alliance membership includes commercial and public broadcasters who reach over 85 percent of U.S. households, the National Association of Broadcasters, the Consumer Technology Association, the Interactive Television Alliance, and a growing number of U.S. and Korean technology companies and service providers. AWARN Alliance and Advisory Committee members plan to convene working groups in the second half of the year. The Alliance’s goal is to have a beta version of AWARN alerts available for early adopter television stations that launch Next Gen TV transmission in 2018.